Conway Historical Society | Postcard of Main Street Looking West, Conway, Mass. Postcard of Main Street Looking West, Conway, Mass. Standard postcard, colorized, of Main Street looking west from the Field Memorial Library. Written from M. R. to Miss Frances Cooper, Springfield, Mass. : "Having a fine time with the cows and chickens." 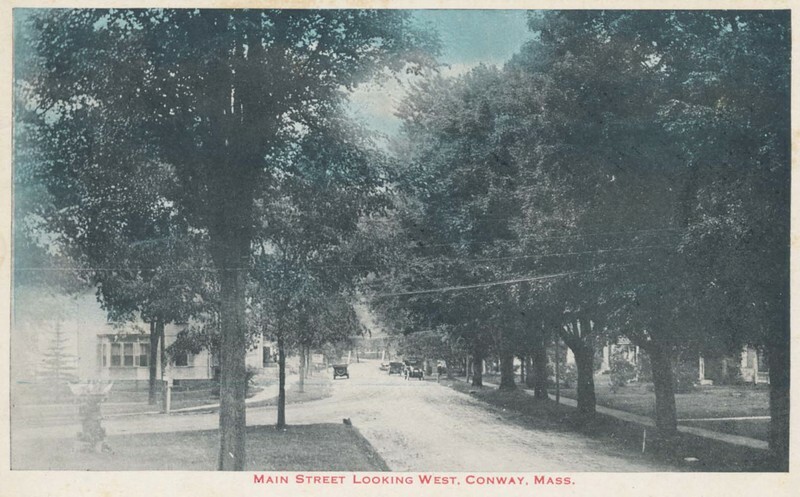 Unknown, “Postcard of Main Street Looking West, Conway, Mass.,” Conway Historical Society, accessed April 21, 2019, http://conwaymasshistory.org/items/show/850.